- Bray Wyatt took part in an interview with Between The Ropes to discuss WWE Battleground, growing up in a wrestling family, his promo process, his success and how NXT had a hand in it, and more. The interview straddles kayfabe throughout but Wyatt does delve into a number of interesting subjects, such as his claim that he doesn&apos;t sit backstage with a pen and paper and script his promos. He also addresses his run as Husky Harris within kayfabe, saying that "whoever that person was a few years ago, it was just a shell of a man that never really existed at all." The interview is available at this link. - On this week&apos;s Smackdown Fallout, Alberto Del Rio says he will win the Battleground Battle Royal for the Intercontinental Championship this Sunday. The clip is available at this link. - Natalya spoke about the evolution of women&apos;s wrestling, Sting in WWE, drunk dialing Stephanie McMahon, her match at NXT Takeover With Charlotte and more in a new interview with Chuck Carrol of CBS Baltimore. You can read highlights and listen to the interview at this link. - Canoe.ca has a new article online featuring quotes from The Rock to promote "Hercules." In the piece, Rock reveals that the injuries he suffered in his match against John Cena at Wrestlemania 29 caused filming to be pushed back two weeks, which was $1 million each week. - We reported back in June that things between Vince McMahon and Triple H had grown noticeably more contentious, well that hasn&apos;t changed. 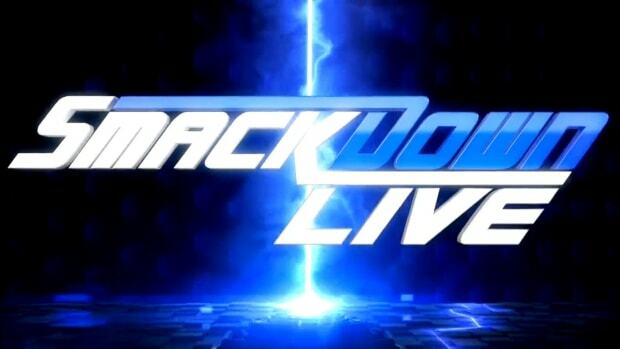 According to a source speaking under the condition of anonymity, the latest major blowup took place a little over a week ago at WWE&apos;s live event at Madison Square Garden. - We wondered over the weekend if WWE would back off Lana&apos;s storyline support for Russian President Vladimir Putin in light of recent current events. We noted there was no change at Friday night&apos;s live event in Pensacola, FL (nor was there Saturday in Tallahassee). Lana cut her normal anti-USA/pro-Russia promo prior to Rusev&apos;s match against Jack Swagger at WWE&apos;s Battleground pay-per-view on Sunday night, calling the American president a "sissy" and praising Putin. I know RVD&apos;s latest short-term WWE contract was coming up but do not have further details on his exclusion as of press time. - The Miz won the WWE Intercontinental Championship in a battle royal at Battleground on Sunday night. The Miz is a 3-time WWE Intercontinental Champion. - While the talk coming out of last week&apos;s Raw was that John Cena handing the World Heavyweight Championship belt to Ric Flair was a way of retiring it, that&apos;s not the case. Cena came out with both the World Heavyweight Championship and WWE Championship title belts at Battleground on Sunday. Both titles were used in the pre-match graphic and the titles were held up by referee Charles Robison. As previously noted, the long-term plan is still for the WWE Championship belt (the one The Rock introduced to the company in 2013) to be the company&apos;s title belt. - Paul Heyman, in-character, Tweeted that he was "heading to pick up Plan C" during the WWE Battleground main event. Heyman stated in his Tweet it was "just in case" and hash-tagged #Raw. - John Cena retained the WWE World Heavyweight Championship in the Fatal 4-Way Match at Battleground on Sunday night. The finish saw Cena hit Randy Orton with the Attitude Adjustment onto Kane, pinning The Big Red Machine to go over. The note to make is that Cena will defend the title against Brock Lesnar at SummerSlam, a plan WWE has already confirmed. WWE SummerSlam 2014 will take place on Sunday, August 17, 2014 from Staples Center in Los Angeles, California. We’ll have exclusive live play-by-play coverage at WestlingNewsWorld.com. As previously noted, Cena is not scheduled for this week&apos;s episode of Monday Night Raw in Miami, Florida. Does he think Sting will be in WWE? I do, yeah. And I know a guy or two so we’ll just put it like that. I do think he’s going to come back and I think it’s going to be great. If The Rock returns to WWE will it be for one match or a series of matches? It’s all of the above. The one match three or four years ago that I started talking about with Vince then turned into a three year run. So who knows? I would love to go back and figure it out. After last year’s WrestleMania the idea was I was going to set up a great match with myself and Brock Lesnar but then I got hurt so that plan got cancelled. He is now in plans to do something with ba da da da which I’m not going to say (laughs) but it should be a cool match. So whenever I do go back, if it is a match it’s just got to be right in terms of who is the marquee value player that really makes sense and at that time when I went back John Cena was the number one guy in the world so we have to see. Would a match against Roman Reigns make sense? I don’t know if that match makes sense now because he’s not their top heel right now, so you would look at that. Unless I went in as a heel and he was a babyface. How he kept his appearance at WrestleMania 30 a secret By me not posting anything (laughs). I came in literally hours before and it’s one of those things where it was a very last minute decision. It was an amazing night and there’s no greater feeling as a performer than that connection with an audience. "You blame Russia for recent current events." You can watch a snippet of the promo at this link. Click here for coverage by The Score out of Dublin. We noted shortly after the promo aired that not only did WWE refuse to back off the gimmick, they seemingly turned it up with said line. Rusev ended up going over Jack Swagger via count out. "It was like a shark tank," he says. "It just wasn’t for me. I’m not really good at politicking. There was a lot underhandedness; it was kind of wearing thin on me. I’d rather get by on just my talent alone," he says, more with honesty than bitterness. - The Daily Mail has a new article online that covers the ridiculous promo by Lana at Sunday night&apos;s WWE Battleground pay-per-view. As previously reported, WWE is facing criticism for a line where she referred incredulously to the MH17 airplane crash prior to Rusev&apos;s match against Jack Swagger. Click here for The Daily Mail article. Richard Reacts: Senseless, irresponsible and reprehensible are good adjectives for Lana&apos;s promo at Battleground. As I noted on social media on Monday, it&apos;s one thing to accentuate stereotypes (e.g. American xenophobia or Russia being an international powerhouse) but it&apos;s another to recklessly throw a real-life tragedy into a meaningless promo. 298 innocent people died on Thursday as the result of evil and WWE owes their families an apology. - WWE has posted a commercial for SummerSlam at this link. - WWE has announced a series of live SummerSlam Panels before the show on August 15-17. They&apos;ll take place from Club Nokia at LA LIVE in Los Angeles and tickets go on sale at AXS.com starting this Saturday, July 26, at 1 p.m. ET/10 a.m. PT. The panels will include conversation between a WWE moderator and the featured Superstars, a Q&A session where attendees can ask questions and an opportunity for VIP ticket holders to get on stage with the headliners for a photo. Friday, Aug. 15, 7 p.m.-10:30 p.m.
Saturday, Aug. 16, 10 a.m.-1:30 p.m.
Saturday, Aug. 16, 7 p.m.-10:30 p.m.
Sunday, Aug. 17, 12 p.m.-3:30 p.m.
Tickets start at $50 and go up to $200 for VIP. Dot com has the details at this link. - Adam Eaton sent word that the Cartoon Network will air Scooby-Doo! The WWE Mystery on Saturday night at 6 PM. You can read their schedule at this link. - WWEannounced Monday on dot com that John Cena&apos;s "Never Give Up" sneakers are now exclusively available at Kmart. Really? Again? You&apos;d think the State Hwy Patrol would have bigger fish to fry then me and my overly tinted windows. - WWE and OSN announced on Monday that Raw will air live on OSN in the Middle East and North Africa through 2019. You can read more at this link as the agreement also includes other WWE programming - including Smackdown, NXT, Main Event and pay-per-view events - to air on OSN Sports 2 HD. - Last week&apos;s episode of WWE Smackdown -- the go-home to Battleground -- garnered an average viewing audience of 2,885,000 viewers on SyFy. TV By the Numbers has data for all of the top shows on cable for Friday at this link. - We noted earlier that Sheamus will guest star on this week&apos;s episode of Royal Pains on the USA Network. WWE posted a behind-the-scenes video from filming at this link. - Chris Van Vliet from CBS-19 out of Cleveland, Ohio interviewed former WWE star CM Punk on the red carpet at the AP Music Awards at the Rock and Roll Hall of Fame on Monday night. You can watch the interview at this link. CM Punk&apos;s contract with WWE expired on July 15, 2014 and he&apos;s officially a free agent. He thanked the fans for their support. - It was officially confirmed on this week&apos;s Raw that Brock Lesnar will challenge John Cena for the WWE World Heavyweight Championship in the main event of this year&apos;s SummerSlam. We confirmed WWE&apos;s plan to do John Cena vs. Brock Lesnar at SummerSlam after the promotional poster was leaked, as well as this commercial. WWE SummerSlam 2014 will take place on Sunday, August 17, 2014 from the Staples Center in Los Angeles, California. We&apos;ll have exclusive live play-by-play coverage at WrestlingNewsWorld.com. - As the storyline goes, Cesaro has separated from Paul Heyman and is looking to align with The Authority. He beat Dean Ambrose in a singles match via disqualification on this week&apos;s telecast when Ambrose used a chair. - Flo Rida performed live from Miami, as you can view highlights at this link. - The Rock&apos;s mother Ata Johnson was in attendance at this week&apos;s show. - Dean Ambrose & Roman Reigns beat Seth Rollins & Kane in a dark match main event after the show ended. - Nikki Bella&apos;s bare breast was exposed after the 4-on-1 handicap match. Production caught it and cut the feed, however, pictures still ended up circulating on social media. - Paul Heyman was heavily praised for his work on the mic in the final segment. One observer noted that he is on such a different that it isn&apos;t even fair anymore. As for Heyman separating from Cesaro, it all has to do with differentiating Cesaro from Brock Lesnar and putting all of the Heyman focus on Brock. - Brock Lesnar&apos;s appearance on this week&apos;s Raw was basically advertised without being advertised. The heavy "Plan C" mentions on social media were part of drawing viewer interest, causing people to tune in expecting a Brock appearance without officially announcing him for the show. - As noted, Nikki Bella had a wardrobe malfunction with her bare breast being exposed. While production caught it, they didn&apos;t catch it quick enough for unedited screen shots to hit social media. This isn&apos;t the first time it&apos;s happened with Nikki and I believe there was some talk about bigger tops, rather than relying on double-sided tape. - If you were surprised about Zack Ryder and Dolph Ziggler getting victories on the same show, someone in the know commented that "hell was freezing over." - WWE appears to be reverting back to the original plan with Rusev moving on from Jack Swagger. It was stated on commentary that Swagger tapped out to Rusev (when he was counted out) and some see that as the company&apos;s way of moving on. That was the original finish, with Rusev making quick work of Swagger. The plans for the match were altered when Swagger/Zeb Colter were well received by the Raw audience a couple of weeks ago. The two were given extra time to practice on last week&apos;s live events. - Lana&apos;s promo at Battleground continues to be a point of contention. WWE apologized, not for the promo itself, but for anyone that "misunderstood" it. They claim the promo had nothing to do with the Malaysia Airlines crash from last week and the gimmick was just airing untouched as it has for the past 90 days. There&apos;s also been some question as to how much Lana&apos;s promo was scripted and whether or not her "you blame Russia for recent current events" line was her ad-libbing. At any rate, Lana being interrupted by The Great Khali on Raw was by design. - Bobby Lashleyaccused WWE of biting the TNA angle with him, Kenny King and MVP with the alliance of Big E, Kofi Kingston and Xavier Woods. We&apos;re told the faction is "all Vince." - The current plans for SummerSlam are as follows - Brock Lesnar vs. John Cena for the WWE World Heavyweight Championship, Randy Orton vs. Roman Reigns, Seth Rollins vs. Dean Ambrose, Brie Bella vs. Stephanie McMahon, Paige vs. AJ Lee for the Divas Championship, Chris Jericho vs. Bray Wyatt, Sheamus vs. The Miz and a triple threat tag team championship match. Plans are obviously subject to change but that&apos;s a glimpse following Raw. - Chris Jericho was not backstage at this week&apos;s episode of Monday Night Raw in Miami, Florida. The Wyatt Family&apos;s "backstage attack" on him was taped at the Tampa Bay Times Forum in Tampa, Florida on Sunday. Highlights of Bray Wyatt&apos;s promo "after the attack" on this week&apos;s episode of Raw are online at this link. - Dot com has a Q&A online with Chris Jericho to promote the release of Fozzy&apos;s new "Do You Wanna Start a War" album. Click here to read it. - WWE progressed the Stephanie McMahon arrest angle from Raw, noting she was "released on bond" early Tuesday morning. You can read the kayfabe coverage here on dot com. - WWE posted a new commercial on YouTube promoting John Cena vs. Brock Lesnar for SummerSlam. You can watch it at this link. - Mick Foley was in my hometown of Beckley, WV on Monday night with his standup comedy act. The local newspaper interviewed him at this link. The publication also notes that Chris Jericho is scheduled to visit Beckley on September 25, 2014. - Eden (real name Brandi Rhodes) updated her video blog that&apos;s now available at this link. - WWE posted a commercial for the world television premiere of Wrestlemania 30 on NBC on Sunday, August 3, 2014 at 7/6 CT. Click here to watch it. Young tore the ligaments in a singles match against Fandango at a WWE live event in April. The injury required surgery to repair and he was originally estimated to be out 4-6 months (August-October). - WWE posted a behind-the-scenes video of a Naomi photo shoot, similar to what they did of Lana last week. You can watch at this link. - Digital Spy has a new article online featuring quotes from Batista to promote his role in the upcoming Guardians of the Galaxy film. In it, he made a bold prediction about CM Punk. "I know for a fact that he loves professional wrestling," "I couldn&apos;t see him taking a step down and wrestling for a lesser organization. Unless he spent some time in Japan, I just don&apos;t see it. "I think eventually he&apos;ll come back. I think he belongs there. I think the fans really love him and miss him. "I think he loves it and misses it just as much. I&apos;m really not sure why he left. "He&apos;ll be back, I would think that he would be back. I think it would be kind of crazy if he didn&apos;t go back." STAMFORD, Conn.--(BUSINESS WIRE)-- WWE (NYSE:WWE) announced that its Board of Directors today declared the Company’s regular quarterly dividend of $0.12 per share for all Class A and B shares of common stock. The record date for the dividend will be September 15, 2014, and the payment date will be September 25, 2014. - It&apos;s worth noting that all initial WWE Network subscriptions are set to automatically renew beginning on Sunday, August 24, 2014. Subscriptions are set to auto-renew with an automatic 6-month re-commitment at $9.99 month as long as the account remains untouched. The company sent out an email reminder on Friday. Those wishing to cancel must manually adjust their settings. - This week&apos;s episode of The JBL & Cole Show -- featuring ESPN&apos;sJon Gruden -- is now online at this link. - Daniel Bryan and Brie Bella, along with their dog Josie, spoke at a conference with Phoenix police following an attempted burglary at their home earlier this week. Bryan explained the timeline of events, noting that he subdued one of the two alleged burglars with a rear naked choke (not a Yes Lock or Cattle Mutilation, as he said he was worried about getting sued). He also noted that he was able to recover a box containing a bracelet from his late father that read "To the man that you&apos;ve become and the son you&apos;ll always be." In addition, Bryan gave an update on his neck injury and an explanation of the second surgery that doctors want to have done, saying he only has about half the strength in his right arm that he does in his left arm. He noted that they had only been living at the home for 10 days and had planned to put an alarm system in that Wednesday, but physical therapy appointments and his scheduled appearance at San Diego Comic Con pushed the plans back. The video is available at this link. - We have some kayfabe links for you on ImpactWrestling.com. One on Bobby Lashley at this link and another looking at the best feuds of Team 3D at this link. - TNA Wrestling announced on Sunday that Matt Hardy has been "invited" to this week&apos;s Impact by his brother Jeff Hardy. The Tweet is in response to WWE aligning Kofi Kingston, Big E and Xavier Woods together on Monday Night Raw. The connection is obvious as TNA has a similar faction of Lashley, MVP and Kenny King. Click here to read the announcement in its entirety. - This week&apos;s episode of Impact Wrestling did an average viewing audience of 1,420,000 viewers on Spike TV. This number is up from last week&apos;s summer high. So far, TNA&apos;s shows in New York City are providing some promise when the company needs it the most. TV by the Numbers has data for the top 100 cable shows for Thursday online at this link. Are there any plans or future plans for Chris Jericho to win the WWE World Heavyweight Championship? If not, then what&apos;s next after his victory against Bray Wyatt at Battleground? I was surprised that Chris Jericho was booked over Bray Wyatt at WWE Battleground but it makes sense. WWE wants to extend the program to SummerSlam and Jericho just came back, so he needed a victory to build credibility. However, that doesn&apos;t mean there are plans to strap him as he is only working on a short-term part-time agreement. I thought Chris and Bray had a good match but I also must say that Bray&apos;s Wyatt Family colleagues had the better bout. What are your initial thoughts on WWE Battleground? I will have my complete thoughts on WWE Battleground in a podcast later on Monday but to sum it up, I thought it was a weak effort. The show wasn&apos;t predictable and there were some good matches, however, there was plenty to criticize. I&apos;m still baffled at WWE scripting that ridiculous promo from Lana, they pulled a bush league bait and switch with Dean Ambrose vs. Seth Rollins, AJ Lee vs. Paige looked lost and the entire night was anticlimactic. I do not judge the pay-per-views as strict now that they do not carry a hefty price tag but that doesn&apos;t excuse WWE from trying either. It was a weak show. What do you make of Rusev&apos;s dominance and gimmick? I am unhappy with the gimmick and feel WWE made a big mistake with Lana&apos;s promo at WWE Battleground. 298 innocent people were killed when Malaysia Airlines Flight 17 was shot down. Russian President Vladimir Putin is far from innocent and to praise him -- even in storyline -- when his involvement is in question is ridiculous. While WWE has been known for controversial angles in the past, their commitment to restoring their public image after Benoit has been very strong. However, after their underwhelming domestic TV deal with NBCUniversal, the mass roster cuts and the embarrassing situation with Emma&apos;s firing and rehiring, it almost feels like they aren&apos;t even trying anymore. WWE has gone from an organized machine to showing severe dysfunction. Knowing that things between Triple H and Vince McMahon have broken down, there are major issues at present time. It was hard to enjoy Rusev&apos;s match with Jack Swagger after Lana&apos;s promo but it was more competitive than originally planned because Vince McMahon is happy with the babyface reception Swagger has garnered. Has WWE forced themselves to promote John Cena as their World Heavyweight Champion? It was the right move to put the WWE World Heavyweight Championship on John Cena at Money in the Bank and it was the right move for him to retain at Battleground. When Daniel Bryan went down, WWE had to revert to their top star to create stability. Those that wanted Roman Reigns to walk out of Battleground as WWE World Heavyweight Champion are failing to see the bigger picture. For one, there are plans to do Cena vs. Brock Lesnar at SummerSlam. For Cena to be a viable threat to the man that ended Undertaker&apos;s streak, he has to come in as strong as possible. Next, I don&apos;t think Roman Reigns is quite ready. He will be there in time but stability is important at the current juncture. The worst thing WWE could do for Reigns is strap him too early. January 2013: With the IC and US titles being meaningless at this point (the titles change hands on non live TV events and haven’t had a decent storyline, champion, or meaningful title defense in a long time) in your opinion would it benefit WWE to just drop one or both all together or drop those titles in favor of a gimmick title(s) like say the Cruiserweight title or create something new? - I would be in favor of eliminating the WWE United States Championship but do not think both secondary titles should be scrapped. I am against introducing any new titles as they have a hard enough time showcasing the belts they currently have, as you mentioned. Title changes on taped shows are actually beneficial for the live audience as they maintain the illusion that “anything can happen.” It would not be wise to change a major title on tape but as long as the titles are being defended, there isn’t a scenario that’s necessarily bad. Why is WWE so high up on Brock Lesnar when he cannot even cut his own promo? When he speaks, he sounds like a boy hitting puberty. Also watching his matches, his work doesn&apos;t flow well and is sloppy. I guess it&apos;s safe to say that you aren&apos;t a Brock Lesnar fan. You aren&apos;t alone as many WWE fans despise Lesnar because of his part-time status and tremendous rub by ending The Undertaker&apos;s iconic streak. Vince McMahon sees Brock as a major draw based on how he drew over 1 million pay-per-view buys for UFC and was determined that Lesnar&apos;s first post-UFC appearances would be in his ring. I&apos;m actually a Lesnar fan -- not because I think he cuts good promos or has flawless matches -- but because he&apos;s a huge spectacle. His size alone is intriguing and every time he&apos;s in a match, I wonder aloud how he&apos;s going to get to the bell without injuring someone. Vince didn&apos;t order Lesnar over Undertaker, despite what some people think. Undertaker wanted to pass the rub and signed off on the outcome himself. Lesnar used to be a really good in-ring worker but his style has significantly changed since returning to WWE in 2012, however, I find it entertaining. What is your response to the heel turn of Paige? I already think she is more interesting and the Miami crowd seemed to love it. Paige needed a change -- any change -- to help her reset. She was a successful heel in NXT, so I&apos;m all for the turn on the main roster. I believe Paige is one of the most talented Divas to come through the company&apos;s developmental system in quite some time but I blame the writers for her immediate flop. I say it all the time and it stands repeating. Elevations must be handled carefully and tactfully. Name a rocket-pack push that worked. It&apos;s hard to think of one and even The Rock had to be Intercontinental Champion before he was the most electrifying talent in sports entertainment. This is why I didn&apos;t think Roman Reigns should win the WWE World Heavyweight Championship at Battleground. He&apos;s not ready. Build him and let him chase so when he does go over, he&apos;ll have a chance to succeed. Is WWE not worried about a potential, unintentional PR disaster with Lana and Rusev, similar to what happened with Mohammad Hassan and the &apos;terrorist&apos; angle several years ago? I texted a WWE contact on Saturday to see if any changes would be made to Lana/Rusev in light of the Malaysian Airlines crash last Thursday. I was unable to gain any insight as I knew the gimmick continued untouched at weekend live events. It felt like not only did WWE not "tone it down" at Battleground but they turned it up. She continued to praise Vladimir Putin on this week&apos;s episode of WWE Main Event and is getting nuclear heat. I wasn&apos;t a fan of the Battleground promo because I felt that it was in poor taste. Based on recent WWE PR missteps, I don&apos;t believe they are as concerned with public image as they once were. You&apos;ve previously discussed the use of both the World Heavyweight Championship and WWE Championship belts and WWE&apos;s long-term plan to keep the belt The Rock introduced last year. With all signs pointing to complete transformation from the scratch logo to the new Network logo in the coming month, where does that leave the WWE title and all belts featuring the scratch logo in some form? WWE continues a slow transition to their new "Network logo." They already changed the NXT title belt and I expect the others to follow in due time. I do not believe that WWE will introduce a completely new WWE title belt, considering the current one cost $50,000 to produce and a year and a half to do so. I for one feel like Battleground was a HUGE letdown! Canceling an advertised match with the old bait and switch is completely unacceptable (especially if they want me/others to keep my/their network subscription). While I know Ambrose/Rollins is being set up for SummerSlam and that&apos;s all good and well, what WWE did was a blatant act of false advertising in my opinion. What are your thoughts on the PPV overall? 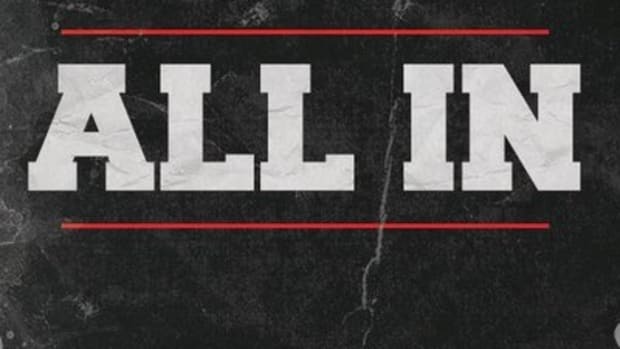 I couldn&apos;t agree more with advertising and then pulling Dean Ambrose vs. Seth Rollins. If they didn&apos;t want to do it, fine but don&apos;t advertise it. As I explained in Richard Reacts to WWE Battleground, that&apos;s why we don&apos;t cover independent promotions here on Wrestling News World. A lot of indy shows feature promotional material showing talent in their physical prime from 10-15 years ago and the actual product is much different than what was promised. WWE advertised Ambrose vs. Rollins for Battleground, so they had an obligation to do it. It was a bush league move and the pay-per-view as a whole was a weak effort. I do not judge WWE pay-per-views as strictly now that they have a lower price tag, however, that doesn&apos;t mean WWE can get away with not trying either. March 2012: Do you think that Jim Ross should indeed commentate at Wrestlemania XXVIII like he did last year? - If it were up to me, Jim Ross would still be the “voice of WWE” and would still be the play-by-play man of Raw Supershow alongside his long-time broadcast colleague Jerry Lawler. It wasn’t JR’s decision to leave broadcasting and it’s Vince McMahon that has implemented the new direction. I think just about everyone would rather see Jim Ross than Michael Cole but unfortunately it’s not our decision to make. So to answer your question, yes I think JR should work Wrestlemania. Do wrestlers actually write their autobiographies and do they have to be careful content-wise to avoid potential libel suits or drawing WWE criticism? Many of the autobiographies are done with authors. For example, Steve Austin&apos;s WWE-released "The Stone Cold Truth" was written by Dennis Brent but with Austin. Mick Foley wrote his own books but he&apos;s an actual author and has done other projects such as children&apos;s books and fiction. Daniel Bryan&apos;s upcoming autobiography we wrote about on Thursday will be done with Craig Tello. The problem with a Daniel Bryan autobiography is that it&apos;s too soon, something WWE has a bad habit of doing. As for certain information being withheld in WWE-released books, that&apos;s always something to hold in consideration and why a book like Bret Hart&apos;s independently released autobiography has more credibility. When is Jeff Jarrett&apos;s Global Force Wrestling scheduled to begin and will it be televised? There is no start date for Jeff Jarrett&apos;s Global Force Wrestling promotion. We heard they were having a hard time getting domestic television clearance and investors were hesitant to start signing talent until they had assurance regarding TV. You can read our latest report at this link. I love the idea of Sting vs. Undertaker but who should win? There are still a lot of things that must happen for Sting vs. Undertaker to become a reality in WWE. 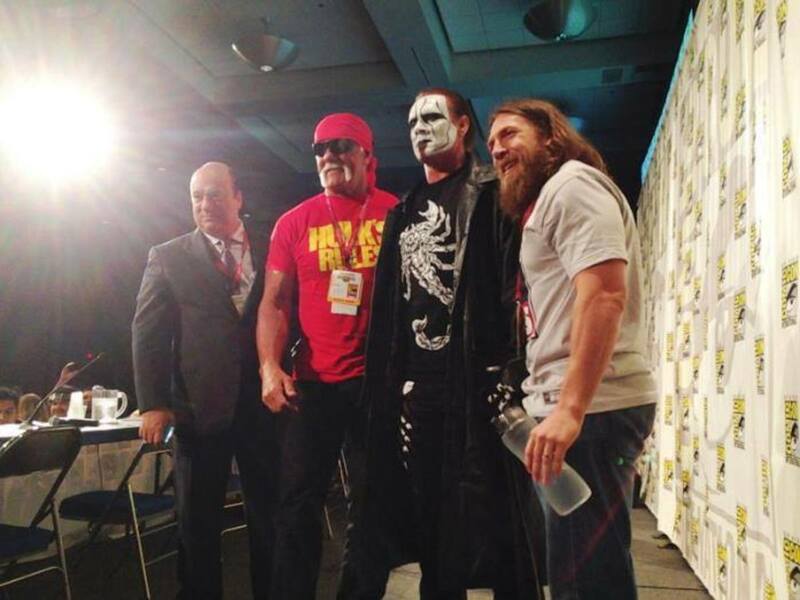 First, an agreement between Sting and WWE for him to wrestle must be reached. Sting clearly has a working relationship with WWE as he has deals with Mattel and 2KSports and the company is selling Sting t-shirts. However, no deal for him to perform has been agreed upon. Next, Undertaker was banged up pretty bad in his match against Brock Lesnar this year and he could very well be finished competing. Lastly, if Sting agreed to a deal and Undertaker was able and wanted the match, it would have to fit into the company&apos;s creative plans. I agree the booking would be difficult but it&apos;s premature at best until aforementioned issues are worked out. I am 38 years old and have been watching WWE since I was 5 years old. With Raw being on three hours long I find myself skipping through the matches and simply watching key segments. Is WWE aware of this? In short, yes WWE is aware the length of Raw has changed viewing habits. Prior to Raw going three hours in 2012, the company would generally see an increase in viewership from hour one to hour two. Now, more often than not, Raw loses viewership and even if the audience grows from hour one to hour two, it almost always drops off for the third and final hour (sometimes as the lowest viewed hour). We monitor the trends in our Raw viewership archive at this link. WWE is also internally aware that people tune in and out of the show, trying to pinpoint key segments. This is why Triple H has pushed for the company to "hide" feature segments and not just put them at the top of each hour. The reason Raw has remained three hours despite the change in viewership habits is because WWE makes more money with the extra hour from the USA Network. Because of this and the fact the show is the highest rated program on the network, it remains untouched. I&apos;ve said it since the beginning and my position has not changed. Raw being three hours is too much and requires too much of a commitment from the fan base week in and week out. Not only that but WWE has expanded the show with the Raw Pre-Show and Backstage Pass (which has been on hiatus recently but is scheduled for next Monday) on WWE Network and the show is essentially four hours long. Taking into account the WWE App keeps the show going during commercial breaks and it&apos;s just too much. November 2011: Do you feel that if the WWE Network was to turn out to be a miserable failure that this might impact the financial viability of the WWE as a whole? Do you believe we would see changes in the WWE as we know it? - Some people I’ve spoken with in the company feel if the network fails it could be the project to put Vince McMahon in financial trouble. McMahon seemed convinced in yesterday’s conference call it was going to be a success but offered very little in terms of encouragement. While I completely see the need and reasoning for the WWE Network, it’s not going to be easy to get clearance and I want to see the company’s model before passing judgment. With that being said, there have been some “interesting” ideas for non-wrestling programming.